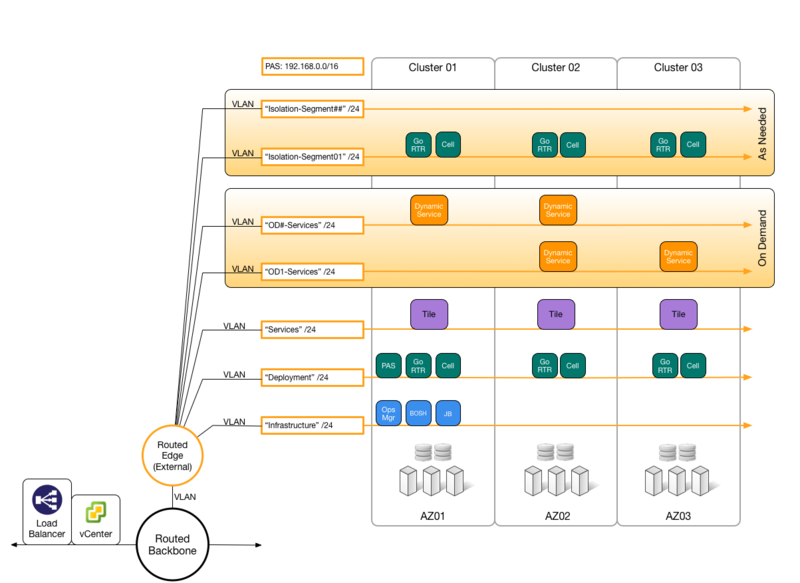 The reference architecture supports capacity growth at the vSphere and PCF levels as well as installation security through the NSX-T firewall. It allocates a minimum of three servers to each vSphere cluster and spreads PCF components across three clusters for high availability (HA). 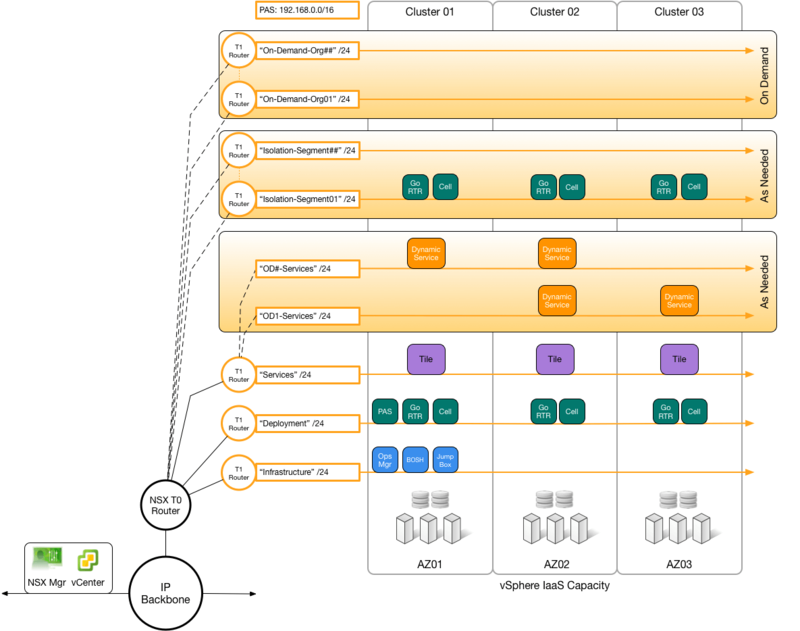 Each vSphere cluster corresponds to an Availability Zone (AZ). For information about HA in PCF, see High Availability in Cloud Foundry. Note: Small and non-critical deployments can maintain high availability with two vSphere clusters instead of three, provided that the PAS system databases are configured as external. For more information, see Configuring PAS. For non-production environments, the number of AZs that PAS requires for HA depends on the location of its system databases. With external databases, PAS requires at least two AZs for HA. With internal system databases, PAS requires at least three AZs for HA. For any production environment, Pivotal recommends using at least three AZs for HA. PCF achieves redundancy through the AZ construct, and the loss of an AZ is not considered catastrophic. BOSH Resurrector replaces lost VMs as needed to repair a foundation. Foundation backup and restoration is accomplished externally by BOSH Backup and Restore (BBR). For information about BBR, see Backing Up and Restoring Pivotal Cloud Foundry.